The Pope of the Coptic Orthodox Church Tawadros II said on Wednesday that the meetings that Prince Mohammad bin Salman Al Saud, Crown Prince of Saudi Arabia, and Saudi officials are holding on all levels, whether religious, political or cultural, are very beneficial to the nation and will contribute toward human development. “We hail and appreciate these efforts that encompass a lot of hope for our brothers in Saudi Arabia,” he said. In an interview with Arab News daily, Pope Tawadros II said that he found Saudi Crown Prince an open-minded person who has a modern vision to life, and this pleases us a lot. “I personally follow all the positive developments that took place under the directives of King Salman, his Crown Prince and all Saudi officials,” he said. “Saudi Arabia is a main pillar of the Arab and the Islamic world, and on the international level as well,” he said. 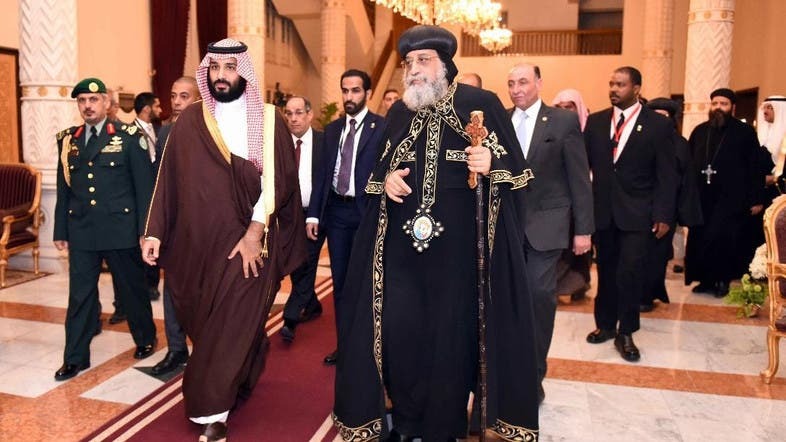 The Pope of the Coptic Orthodox Church said he will pay a visit Saudi Arabia soon following an invitation by Saudi Crown Prince when he was on a state visit to Egypt this year.